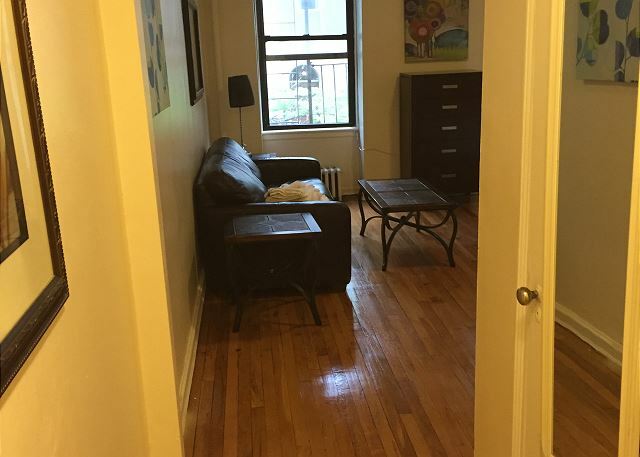 Updated studio in the heart of Midtown East. 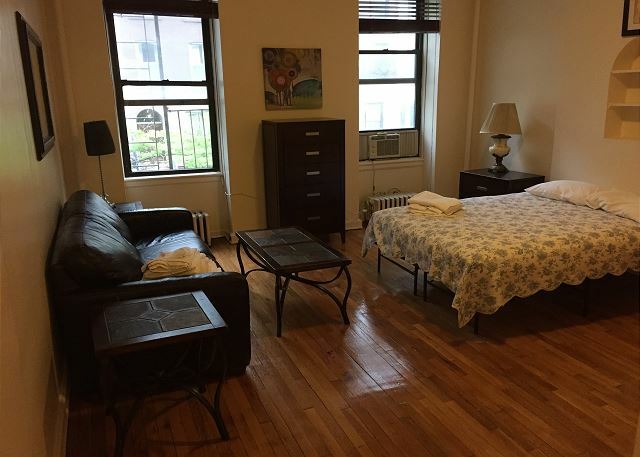 There’s a queen bed, large sofa, and dining table. 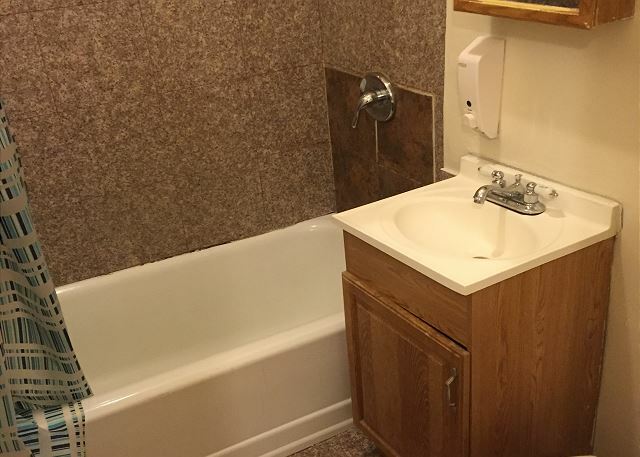 This unit also has a separate kitchen, and full bath.There is also a high definition television for your entertainment. In the adjacent dining area there is a dining table with seating for four. 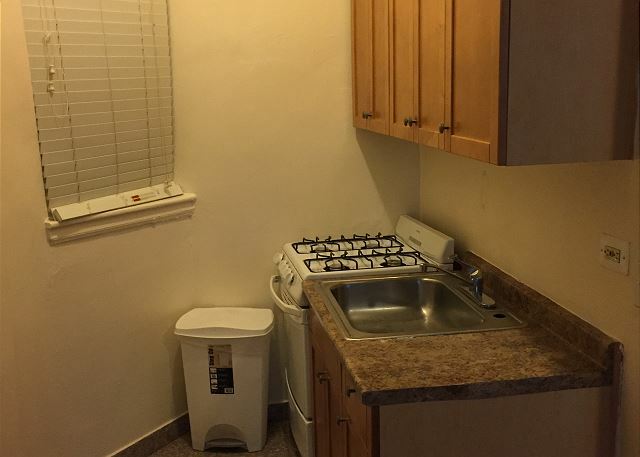 The kitchen is fully equipped and available for economical meals within the comfort of the unit. Located in the east side you’ll be in a residential area although there are many local bars, restaurants, and lounges that providing an exciting night life around the corner. Some landmarks to see in this area are the gorgeous Chrysler Building, the headquarters to the United Nations, St. Patrick Cathedral, and the historical rich Grand Central Station. 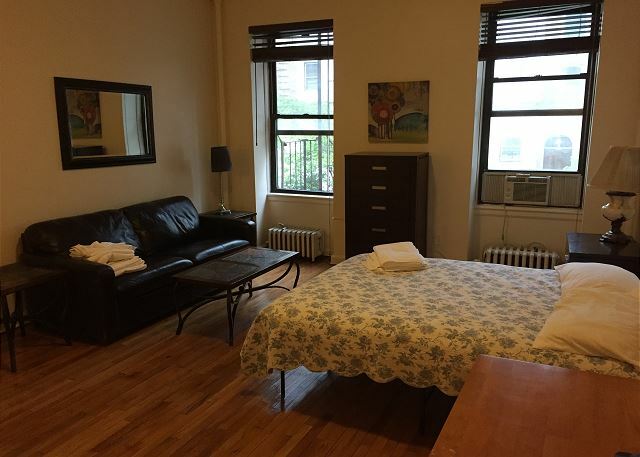 You’re also a very short cab ride away from Times Square and all the excitement of the Theater District. For some down time, there is a gorgeous little park one block down that with the sound of a waterfall and skillful landscapes that offer an escape from constant motion and commotion of the city.